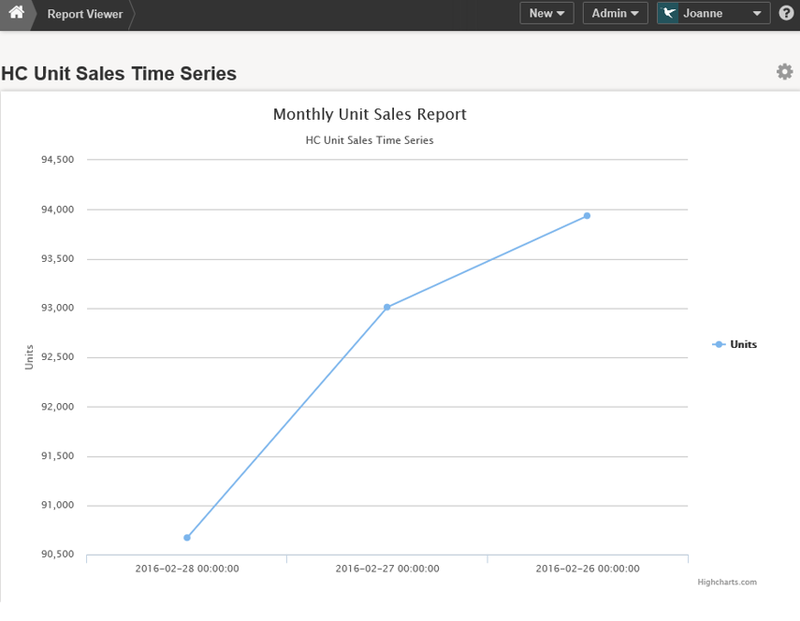 This article provides a step y step example of creating a Highcharts Time Series Line chart. 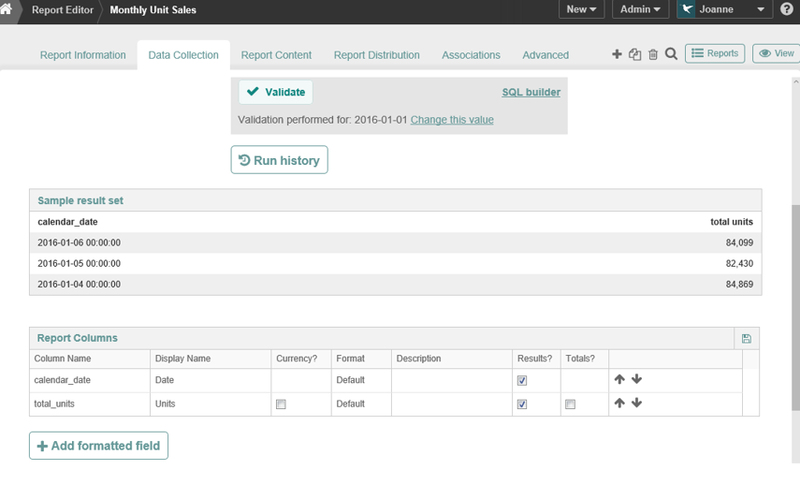 In this example, the calendar_date column contains the time series data. Data collected should e limited to two columns. If you have a report with more than two columns, you can create a Pivot Table to limit the data to two columns. From the Report Content tab, click the "+ Chart" button. 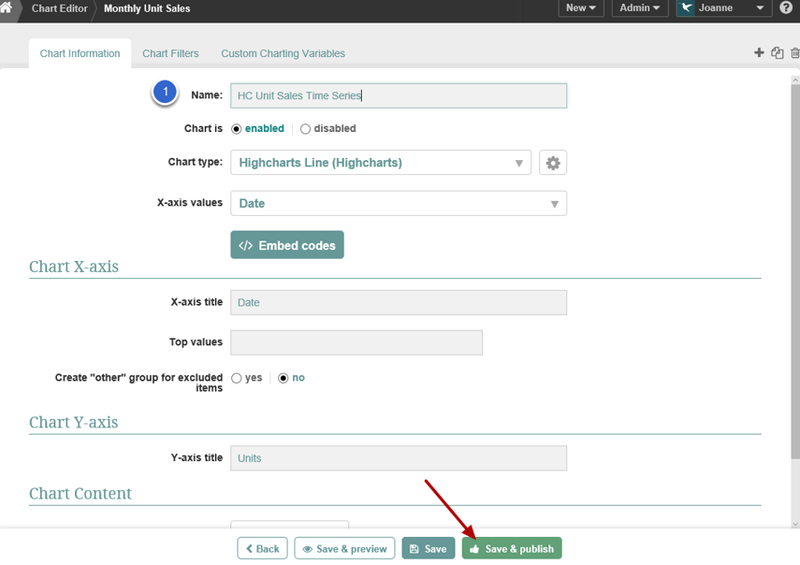 Select Highcharts Line for Chart type.